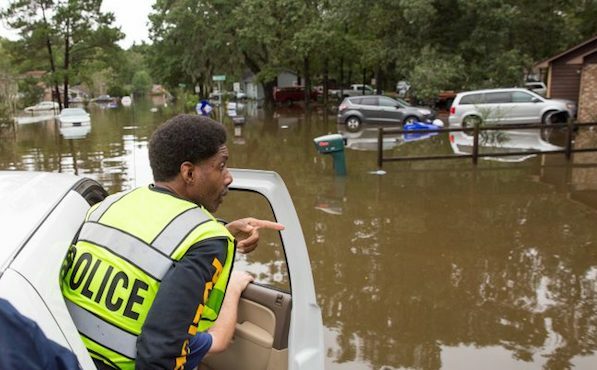 A hurricane dumped 15 inches of rain on Charleston, S.C., two years ago: This was the result. Sea-level rise – driven by global warming and climate change – will bring new flood risks to America’s coastal cities. Paradoxically, those conurbations already at risk of catastrophic floods driven by hurricanes can expect a greater number of “moderate” floods. And those cities that have little or no history of severe flooding can expect a greater level of risk from historically unprecedented inundation, according to a new study in the journal Environmental Research Letters. This is another step in what might be called prepare-for-the-future studies. Coastal flooding already costs cities on both east and west coasts an estimated $27 billion a year. Researchers have been doing the arithmetic and so far forecast that – globally at least – sea-level rise is going to cost $1 trillion by 2050, and $100 trillion by 2100. Sea-level rise is happening everywhere, as ice caps and glaciers melt and the seas rise in response to global warming driven by prodigal human combustion of fossil fuels. Researchers have advanced from general warning to the kind of detail that could help city and state planners prepare to cope with flood risks. European ports and estuary cities are at risk with projections of sea-level rise of half a meter, and U.S. coastal cities could one day face almost daily challenges at high tide. Notoriously, the U.S. president, Donald Trump, has in the past called climate change “a hoax” and withdrawn from the Paris Climate Agreement in which the world’s nations agreed to work together to contain global warming. But the research goes on. In the latest study, scientists from two great U.S. universities began to look at the fine detail of local risk. They calculated the “amplification factor” of hazard as the high tide mark: they assumed that the frequency of storms would remain unchanged and then they factored in projections of sea-level rise. And his research colleague Michael Oppenheimer, professor of geosciences and international affairs at Princeton, said: “We hope that this study provides additional information that cities and municipalities can use to start planning the defense against climate change and sea-level rise. Image credit: Ryan Johnson, City of North Charleston, S.C., via Wikimedia Commons. Used under a Creative Commons license.